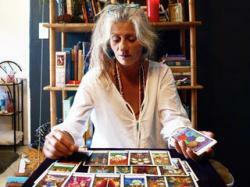 altaz - Mind And Body, Natural Healing, Tarot Cards in Maribor. *** Hello and welcome to my little corner of the world, my name is altaz *** To be the best version of myself in any given moment, this is what I strive for. This is also what I work on with my clients. The Tarot is my tool for this, tangible tools for living. *** I look not to waste my energy on anything unpleasant. Our energy has value though I just can't as of yet, get over the taste of lima beans. Gardening and spending time with people I love brings me a lot of joy. Gardening is like relationships, when you tend to them, pay attention to them, both grow. *** I love being in ceremony, not only does it fill me with what I need, to do my day in a go 14 years of practice in Maribor.